After 15 years of generating critical funds for TPAN and our community partners, the Ride for AIDS Chicago has become TPAN's Ride for Life Chicago, the re-envisioned and unique fundraising & cycling event that supports care and services for individuals and families across Chicago! Thousands of donors and more than 250 volunteer cyclists, crew, & team members help TPAN provide lifesaving care to 2,000 people each year in Chicago and a lifeline of HIV health and treatment information to more than 100,000 readers of our national Positively Aware magazine. Every mile, every dollar, and every volunteer helps save lives. Through participants' commitment to cycle 100 or 200 miles over 2 days and advocate for our mission by fundraising to deliver care to our community, our volunteers share their stories of triumph over HIV, their commitment to end AIDS, and TPAN's success in providing expert, compassionate services to many who would otherwise go without care. JOIN us! Whether you cycle the miles, serve as Crew, participate as a remote a Virtual / Legacy Rider, enlist new corporate sponsorship of our mission, or make a personal donation to advance TPAN's work and sponsor a friend in the Ride, we invite you to be part of this exciting and powerful experience. To join as a corporate or small business sponsor, please contact Bryant Dunbar, Dir. of Development, at b.dunbar@tpan.com. 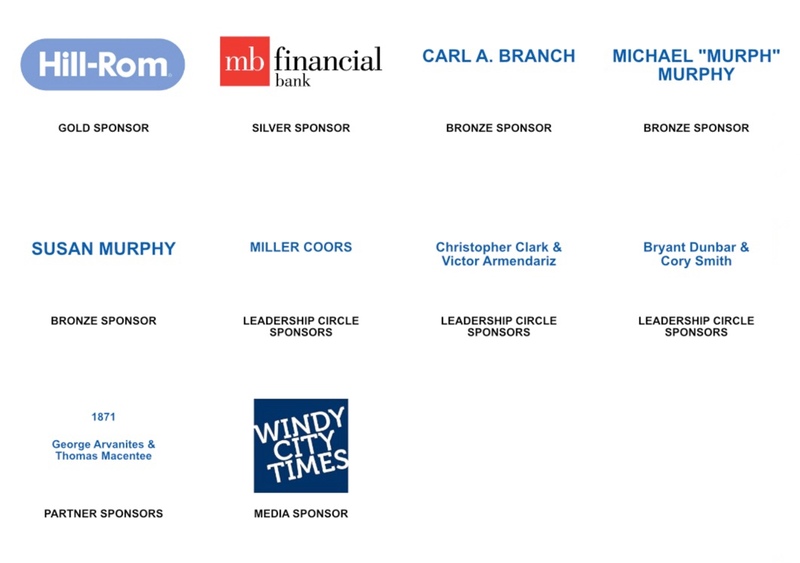 Please recognize the generous corporate and individual sponsors (as of 3/10/2019) who make the Ride for Life Chicago and TPAN's work possible. We encourage you to help us thank them and celebrate their support of our community! Would you like to become a sponsor of the Ride for Life Chicago? Learn more about sponsorship levels and benefits HERE!